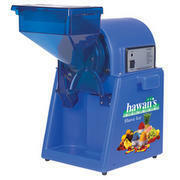 The finest shaved ice machine on the market. Have that fine crushed ice with great flavors at your next party. This rental comes with 12 cups and 2 flavor bottles.